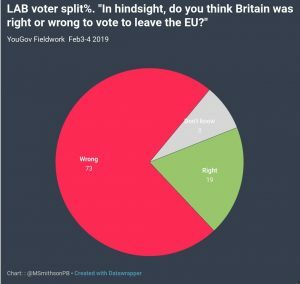 Brexit – What does all this waffle mean? Guess who wrote the piece below, even better guess what they were trying to say! ‘***** accept the referendum result and recognise that Britain is leaving the EU. But unlike the *****, we believe that jobs and the economy must come first in the negotiations. 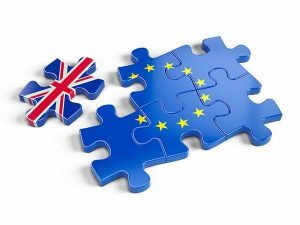 That means rejecting ‘no deal’ as a viable option, negotiating strong transitional arrangements to ensure there is no cliff-edge for the economy and putting much greater emphasis on retaining the benefits of the Single Market and the Customs Union. This amendment would not have kept the UK in the Single Market. It was a meaningless and technical amendment that would not have addressed any of the many serious flaws in the ***** Withdrawal Bill. It also would not have had any material impact on the final Brexit deal. ***** is clear that we want a Brexit deal that keeps the UK as close as possible to the Single Market and that ensures we retain the benefits that UK businesses and workers currently enjoy from our relationship with the Single Market. Securing that deal is really important, but it is of course part of the Brexit negotiations. A negotiated outcome cannot be achieved via delegated powers to this Bill, which is why this amendment was completely meaningless and why ***** did not support it. The ***** ***** must now change ***** approach. ***** must drop ‘no deal’ as a viable option and put much stronger emphasis on jobs, the economy and retaining the benefits of the Single Market and the Customs Union. It is vital that Parliament is involved throughout the negotiations, including through a truly meaningful vote on the final deal. Come on show some leadership, save the country, go down in history, Kinnock saved the Labour Party, you can save the Country go one better. You’ve probably guessed by now that the piece was written to people who were contacting JC asking him and his Parliamentary Labour Party to back an Amendment to the EU Withdrawal Bill going through Parliament in the past few days. Nice to know that the Official Opposition is as incoherent as the Government over Brexit, or is it!